Persons who have awarded Kennel Club Challenge Certificates in the breed and who, in the opinion of the Committee, remain competent to do so. (1) Minimum of 7 years judging experience in the breed and have the support of the S.W.H.W.T. Club. (3) To have judged the breed at Open Shows or Championship Shows without CC's with an adequate geographical spread. (4) To have judged a minimum of 25 classes. (5) To have judged a minimum of 80 dogs. (6) To have attended a seminar by Kennel Club Accredited Trainer, and passed the relevant examination on Kennel Club Regulations and Judging Procedures. (7) To have attended a seminar given by a Kennel Club Accredited Trainer on Conformation and Movement. (8) To Have attended a Confirmation and Movement "Hands-0n Assessment" conducted by a Kennel Club Accredited Trainer and passed an assessment. (9) To have attended at least one breed specific seminar run in accordance with the relevant Kennel Club Code of Practice and passed an examination and or assessment where applicable. (11) To have stewarded over a minimum of 12 days at Shows. (1) Minimum of 7 years judging experience in any one breed (to include 5 years in the breed) and have the support of the S.W.H.W.T. Club. 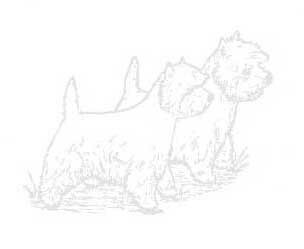 (2) To have judged at a Breed Club Show and/or a Breed Club Supported Entry Show. (3) To have judged the Breed at Open shows or Championship show level without CC's with an adequate geographical spread. (4) To have judged a minimum of 25 classes in this Breed. (5) To have judged 80 dogs in this Breed. (6) To have awarded CC's in at least one other breed. (7) To have attended a Conformation and Movement "Hands-on Assessment" conducted by a Kennel Club Accredited Trainer and passed an assessment. (8) To have attended a least one breed specific judging seminar run in accordance with the relevant Kennel Club Code of Best Practice and passed an assessment where applicable. (9) To have bred and/or owned a minimum of 3 dogs of any breed when they obtained their first entry in the Kennel Club Stud Book (save in exceptional circumstances). (1) To have 5 years experience owning and exhibiting in this breed and have the support of the S.W.H.W.T. Club. (2) To have judged a minimum of 12 classes of this breed at Open Shows or Championship Show without CCs. (3) To have judged a minimum of 35 dogs. (4) To have attended a Breed Judging Seminar and passed an assessment where applicable. (5) To have attended a seminar given by a Kennel Club Accredited Trainer on Conformation and Movement. (6) To have stewarded over a minimum of six days. (7) To have supported Club shows over the last three years. (1) To have 5 years experience owning and exhibiting in any one breed and have the support of the S.W.H.W.T. Club. (4) To have attended a seminar given by a Kennel Club Accredited Trainer on Conformation and Movement. (5) To have attended a Breed Judging Seminar and passed an assessment where applicable. (1) To have 3 years experience owning and exhibiting in the breed. (2) To have attended a seminar given by a Kennel Club Accredited Trainer on Confirmation and Movement. (1) To have 3 years experience owning and exhibiting in any breed. Any person wishing to be included on any list may apply to the Secretary at any time for a Judges Nomination Form, which should be returned to the Secretary upon completion. Candidates for inclusion in the Judges Lists must be proposed and seconded by existing Members each with at least two years continuous membership to be received by 31st August each year for consideration by the Judges Sub-Committee.